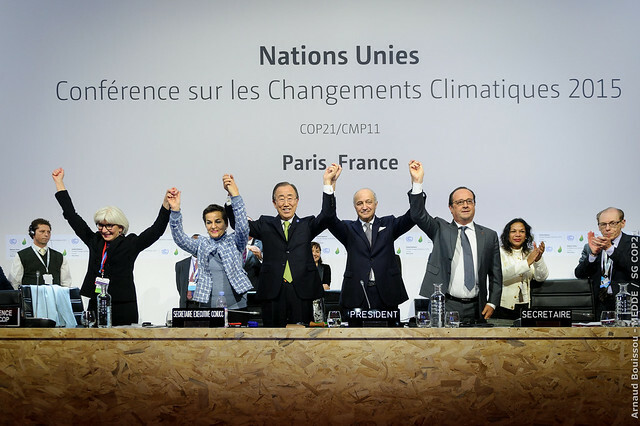 The Universal Peace Federation applauds the convening of the 21st session of the Conference of the Parties (COP21) under the United Nations Framework Convention on Climate Change (UNFCCC). Climate change remains a major threat to human security, and all necessary steps should be taken to prevent further degradation of our existing environment. UPF, an NGO in special consultative status with the United Nations Economic and Social Council, encourages the involvement of faith-based organizations as active partners in the effort to preserve and protect our planet from the devastating effects of climate change. Religions and faith-based organizations have unique capacities to inform and educate billions of people about the need to respect the natural world. In this regard, UPF acknowledges the significance of Pope Francis’ papal encyclical on the environment and human ecology, the Islamic Declaration on Global Climate Change, the Buddhist Climate Change Statement to World Leaders 2015, and the Lambeth Declaration 2015 on Climate Change by the Church of England. The earth is our common home. The earth is sacred, as taught by all religions, and it is our responsibility to preserve and protect the environment; it is a sacred duty. All human beings are members of one global family, all deriving from the same source or origin, and we should work together collaboratively, across the barriers of religion, nationality, ethnicity and culture, to assure the well-being of all people. Universal values and principles should have priority over national interests or special interests. Above all else, we should always seek to live for the sake of others, including generations to come. Intensive efforts should be applied to reducing greenhouse gas emissions, through establishing internationally recognized policies, while at the same time pursuing all manner of scientific research aimed at innovations that will help reverse the deterioration of our environment. A variety of clean or renewable energy sources has been developed, including solar energy, wind power and hydrogen energy, which already are producing certain portions of energy demands. On the whole, a transition from fossil fuels to clean energy sources is taking place thanks to dramatic technological innovations, effectively contributing to moderating global warming. While scientists and engineers are encouraged to help open the technological windows, it is the political leadership that needs to break through the final and decisive door to this emerging horizon. We support and encourage all those who will be attending the COP 21 and hope for the most successful outcomes.